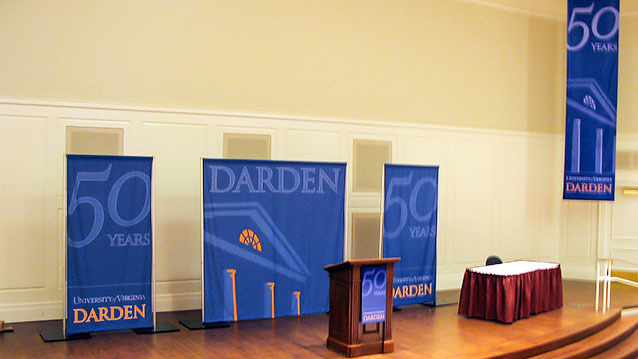 Banner Stands - Hightech Signs, Inc.
Pop-up banner stands are a convenient way to display banners. 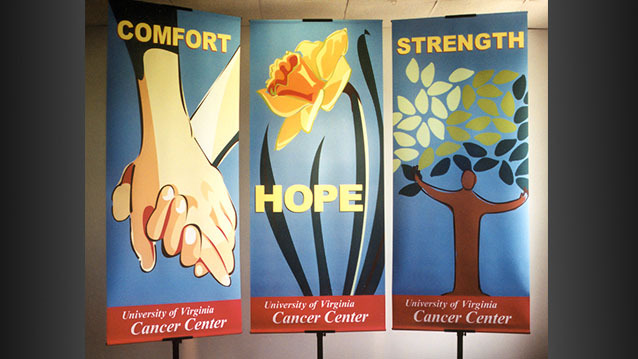 Hightech Signs offers many styles and sizes for both indoor and outdoor use. Banners stands are portable and easy to assemble, perfect for trade shows and conventions. Our banner stands work great alongside a full wall display. We also carry feather stands, sometimes called flying banners or beach flags, these work with custom printed banners and are popular for both indoor and outdoor use. These stands have the ability to bend and rotate with the wind, which avoids the need for a weighted base. The eye-catching movement makes feather stands a popular outdoor marketing option.